PUBG Mobile, which was just released not too long ago, was quickly named in the No. 1 ranking on mobile games in more than 100 countries in the world. Though it has just been released, almost all players have a good understanding of this Battle Royale-style game via the original version on the PC. However, it is not so easy to become the last survivor and win the Top 1 in PUBG Mobile. Don’t worry, the following 10 PUBG pro tips will help you shorten the path to finding your own chicken dinner. 5. Don’t stand still when picking up an airdrop. 6. Always looking for a car to move. 10. Do not battling when you do not have enough healing items. Every match in PUBG Mobile begins with 100 players jumping into an 8×8 km board, where you can choose to jump out of the plane anytime and anywhere. However, deciding to jump into a largely residential area right on the route or hot spots like the military base and the school is a big challenge for any players right from the start. With these PUBG pro tips and if you’re lucky, you can pick up good weapons right after a few seconds of looting and can take down those players who are slow behind. But if you’re not used to games or reflexes are not too fast, it’s better to stay away from these locations. Instead, you can target on small neighborhood cities or houses. The first thing you need to do after touching the ground is finding a place to loot. First priority is guns and bullets, then armor, helmets and healing items. Once you have enough weapons and armor, you can start choosing the weapon you want to carry (if you don’t know which one to pick, get a rifle because it’s good for most situations). You should also find higher-grade armor and helmets to get a higher chance to increase your survival rate. 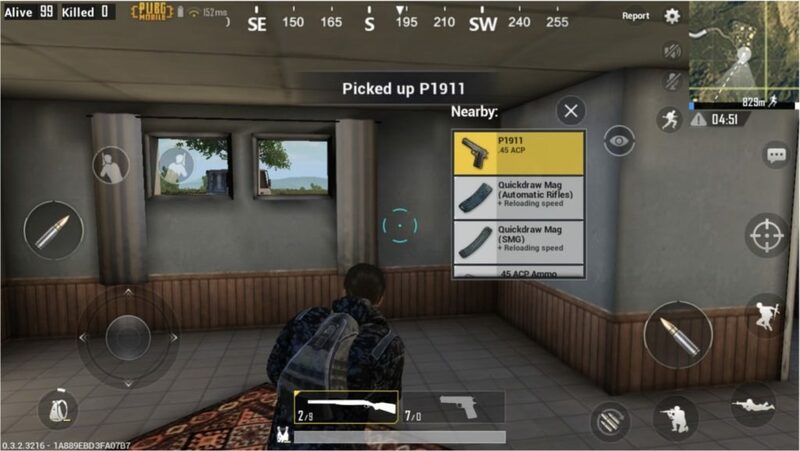 A benefit in PUBG Mobile is the auto-picking feature that one of the PUBG pro tips helps you choose better equipment. All the doors at the beginning of the game are closed, it only opens when anyone has ever entered the loot or may still be there so you need to be more careful if you want to go into a building. A small note here is to limit access to open buildings unless you already have at least one shotgun or melee weapon. Remember to close the door every time you come in the houses in order to hide the direction and gain an unexpected advantage with enemies. This is one of the PUBG pro tips for you when playing this game. 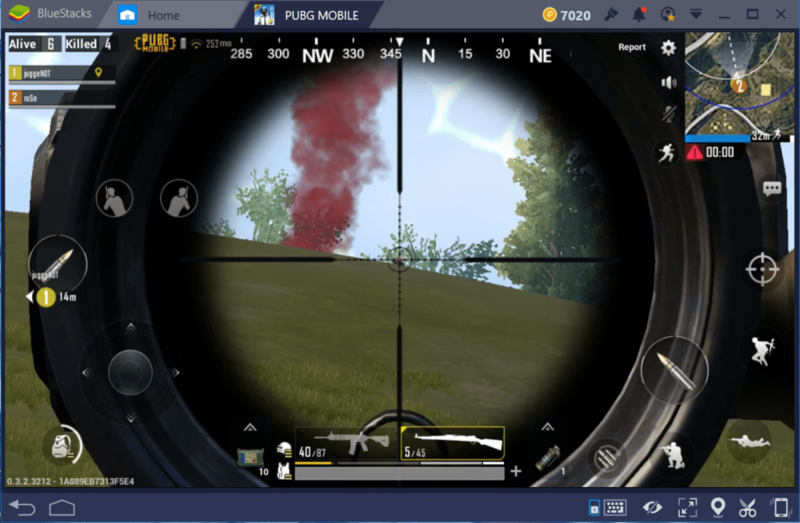 Since PUBG has been released on the phone, the control problem has become much more difficult than when you play on a PC, the accuracy now becomes a decisive factor in winning the shootings. When playing on the phone, the enemy can hardly see you with perfect accuracy, so if you get shot first, don’t panic, try to focus and shoot back. Any party that is brave to stand longer, higher accuracy is equivalent to a higher chance of winning. This PUBG pro tips helping you win if you have low health and don’t know where the enemy is fired, try to break their vision by running away quickly or zigzag to avoid being shot. Stand still while picking up the airdrop (meaning that you don’t care about anyone coming ) just like inviting other players to shoot you for free. Remember, gunshots attract all attention. Therefore, even though everyone playing on the phone has a difficulty controlling problem but if you becomes a common goal for many players, the rate of lying down is also much higher. This is one of the best PUBG pro tips will help you to have more chance to win the game. Be careful when looting an airdrop. Vehicles are important when traveling at long distances, especially if you are away from safe areas (you can still jog into the bo but it takes a lot of time and is riskier). 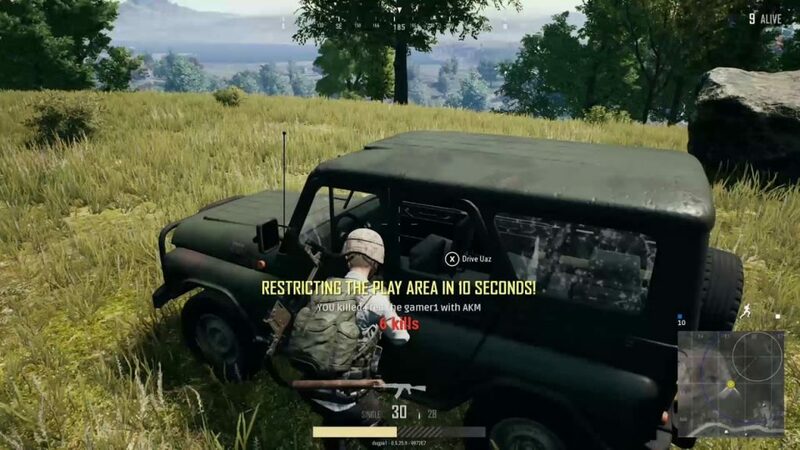 In addition, you can also use the vehicle as a weapon because it is difficult to target a target on a moving vehicle while playing on the phone. Vehicles can be found on the roadside so please pay attention. When you and your teammates are confronting an enemy team, make sure that you always focus on shooting at those who still have the ability to attack, instead of trying to shoot the enemy that you have knocked out. They are no longer a threat to you unless they are saved by their teammates. The damaged higher level armor has an even lower level of protection than the lower level intact armor, so be sure to immediately change the damaged armor when finding a new one even lower level. If you’re still not sure which one is “better”, compare the side indication to choose which one has a higher score. If you use this tip, you have good PUBG pro tips that you can have chance to win. Running around with an empty bullet gun or very few bullets is extremely dangerous because you will need time to reload and a few seconds is more than enough for you to be defeated and can not fight back. Make sure you are constantly reloading your bullets, especially when you are entering a residential area or a house because there is a high probability of meeting an enemy. Low health means that you are more likely to be defeated with fewer hits, so recover yourself before engaging in battles. Bandage and First Aid Kit can help you recover 75% of your maximum blood volume, while Med Kit (rare item) can help you recover your blood completely. Items like Energy Drink or Painkiller can also help you increase your recovery, so you should not forget their benefits. Here are 10 PUBG pro tips, mainly to help new PUBG Mobile players to shorten their journey to find the Top 1 position. Besides, you also need a lot of lucky factors as well as the skill, so if you still haven’t got a Top 1, don’t be too disappointed, this is just a game.